On Thursday, March 17, the Garden Spot chapter of the FFA held its annual banquet in the Martin Meylin Cafeteria to honor L-S student achievements over the past year. 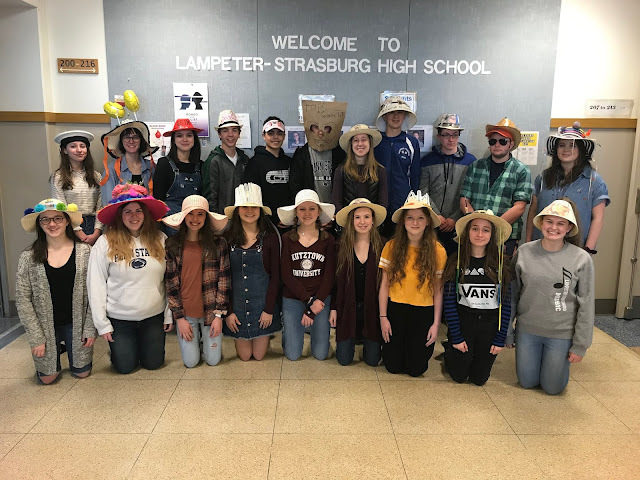 Members gave speeches on events that had occurred throughout the year including the fruit sale, West Lampeter Fair, and the national convention. Two special guests were in attendance, Pennsylvania Secretary of Agriculture Russell Redding and State Chaplain of the FFA Jonathon Noss. Before the evening came to an end, FFA co-advisor Mrs. Holly Oberholtzer and the officers took time to recognize co-advisor Mr. Steve Smith, who will retire at the end of the school year after 40 years of dedication to agriculture education. Although banquets tend to note endings, for the FFA, there are still events to come.